Who does not like to make Mods within Minecraft? It is a dream come true! In this class, students will learn to make modifications or Mods to the game using Java. Yes! 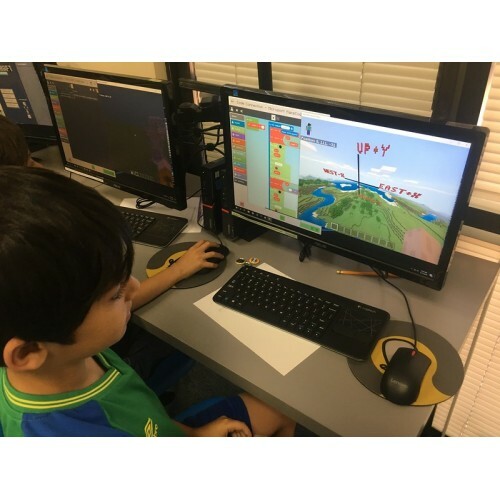 Students will be introduced to Microsoft MakeCode platform and Minecraft Education Edition which will allow them hands-on experience in developing their own mods, which enables students to customize their own game and allow them to combine coding with fun. Students also have the ability to host their own private real-time update Multiplayer server to Debug and play with the Mods created. Features Prerequisite - 6 or more months of Minecraft gaming experience, or participation in Minecraft Club. Refund Policy No Refunds, No Make-up Sessions.